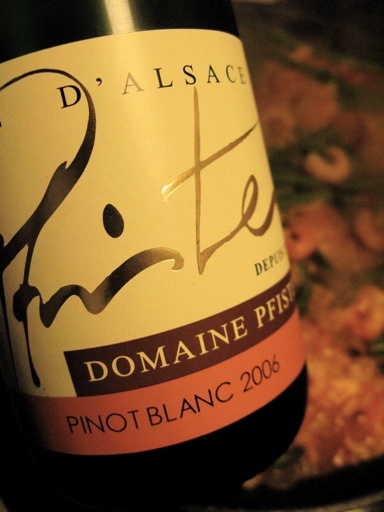 2006 Pinot Blanc has been produced in stainless steel tanks, as all the other wines on the domain. The wine has spent time on its yeast deposit, which contributes to the rich palate. Pinot Blanc is flowery as young, but with time they develop nuttiness (which may bring to mind oak barrels) as well as an element of minerality." A very good wine that could have been mistaken for a Meursault, had it not been for the minerality in the aftertaste. Price: €8.